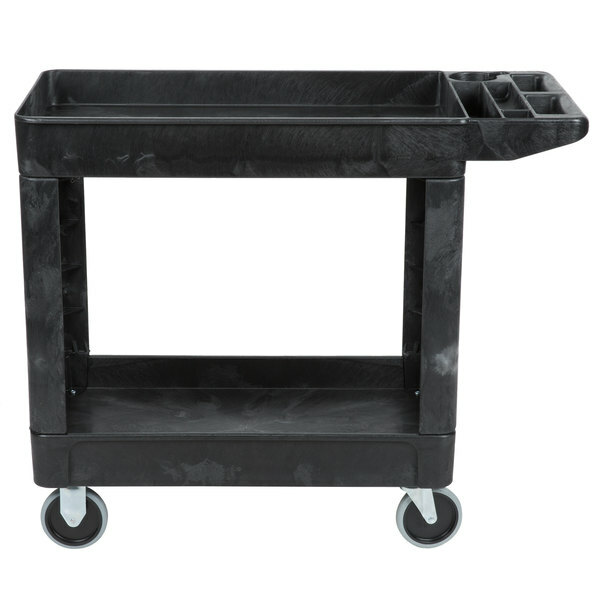 Easily transport a vast range of products, supplies, or equipment with the Rubbermaid FG450089 black, two shelf utility cart! 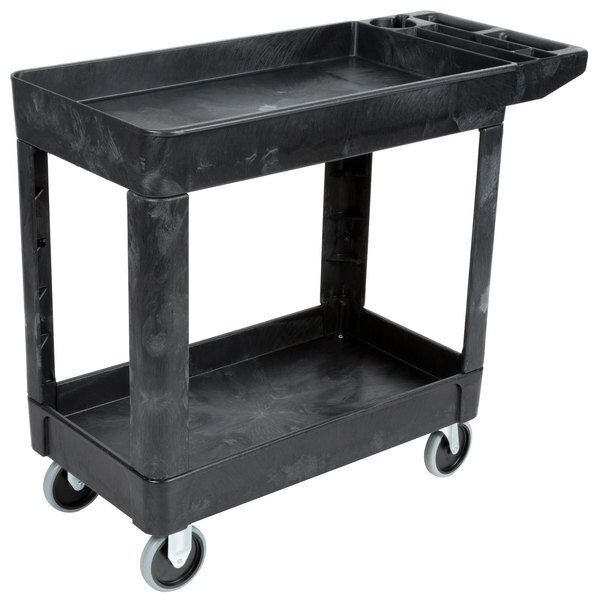 This utility cart is made of durable structural foam that will not leak, rust, chip, dent, or peel, and features two shelves that can hold a wide variety of items. The large, top shelf has a deep pocket to keep loads secure during transport. A built-in tool holster and caddy keeps tools right at hand and in place during transport, while 5" casters and an ergonomic handle make this cart easy to move and maneuver. It can hold up to 500 lb. This 500 LB. 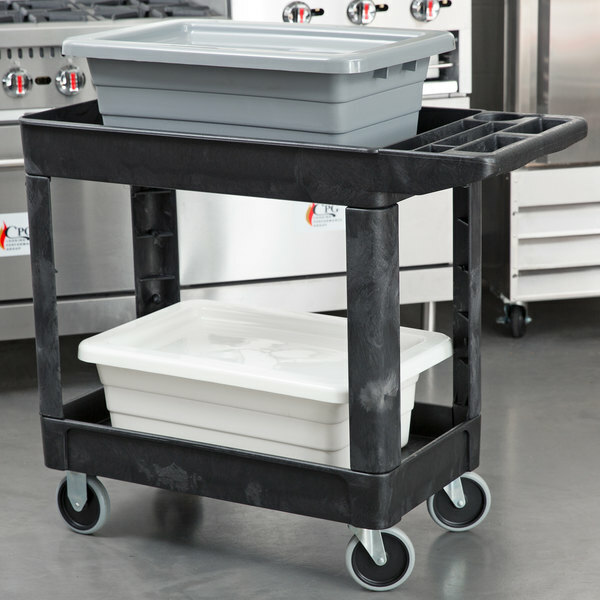 load capacity two shelf utility cart is ideal for hauling equipment from one place to another at your business or even at home! We have had this cart for about a year and a half and we love. We also have the larger version, which we've had for about ten years now. This small one is about the size of a sheet pan (a bit smaller) maybe three and a half third pans. We have had the larger, beefier version of this cart for over eight years now and all we have ever done is replace the casters. This cart is small but mighty- the top is about the size of a full hotel pan.